After the Civil War when most of the country was in shambles economically, herds of longhorn cattle grazed the Texas plains. While cowboys would only get a $1-3 per head in Texas, in the north eastern regions, the same cattle would go for $40 a head. Thus more than six million longhorns were led up north, helping to revitalize the Texas economy. Kicking off what would be a three-month trek to Kansas, drovers would make one final stop to Fort Worth to purchase supplies. And after the 500-mile journey home after delivery, Fort Worth welcomed them with the first chance to rest and spend their earnings. Once the railroad came along, Fort Worth went on to become one of the top cattle markets in the nation. Millions of head of cattle were sold and processed through the meatpacking plants, Armour and Swift, through 1971. 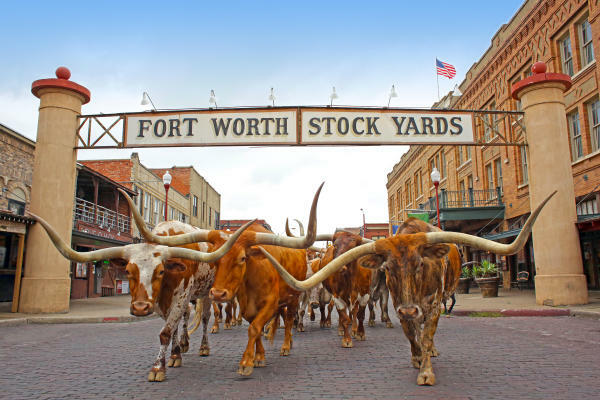 And in 1917, during WWI, the Fort Worth Stockyards was the largest horse and mule market in the world. From cattle drive to auction, there were always plenty of cattle and cowboys in Fort Worth, hence the name. 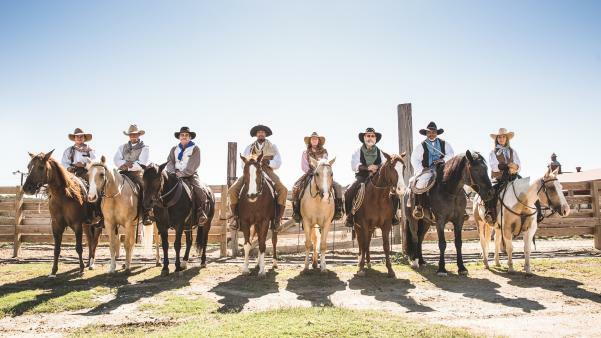 Today, the men and women of the Fort Worth Herd pay homage to the city&apos;s humble beginnings through the world&apos;s only twice-daily cattle drive. 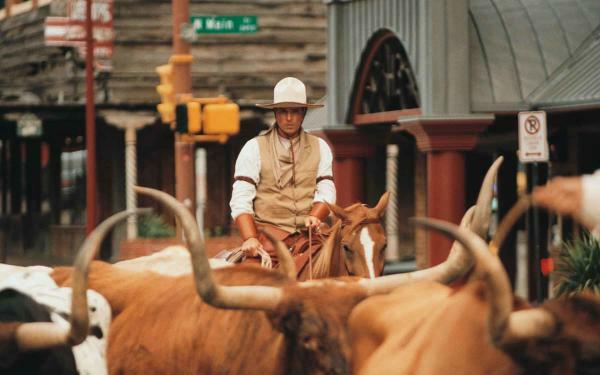 Every day, twice a day at 11:30 a.m and 4 p.m., authentic Texas cowhands drive an elite group of longhorns down Exchange Avenue in the Stockyards National Historic District. Details from their clothing and tools are employed and the experience is historically true to the same drovers that roamed the streets of Fort Worth more than a century ago. Every good name has a good story. And this one ain’t no bull. It’s a steer.